Heading out into the wilderness to go camping can be quite the adventure. Surrounded by greenery, you leave your gadgets and technology behind in exchange for campfires, sing-alongs, roasted marshmallows and nights spent under the stars. What people often fail to mention about camping and exploring the great outdoors is that it gets rather wet, and you're often surprised at the amount of necessities your are required to bring along. This is where Caribee come in... Their Expedition 50 Duffle Bag is the kind of bag you want by your side on those cold nights when you find yourself praying for your ducted heating and fluffy slippers. 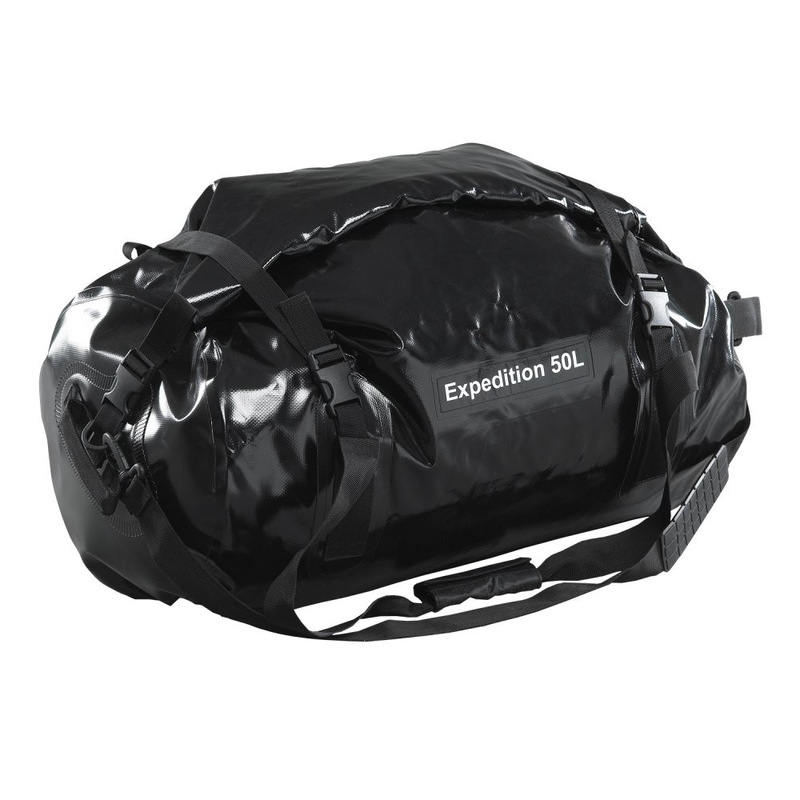 The beauty of the Expedition 50 Duffle Bag is that it can carry up to fifty litres worth of supplies, so you won't have to leave home without that extra parka or matches. It's made from PVC tarpaulin, making it completely waterproof, and it's designed to fold over and fasten with adjustable packing straps. You can throw the duffle bag over your shoulder using the strong carry handles or removable shoulder strap, and set off on your next expedition. Meanwhile, the zippered interior mesh pocket will ensure that your phone or wallet is always on-hand. Strong, reliable and practical - this is the kind of bag that even Bear Grylls will envy. Made from heavy duty PVC tarpaulin. Exterior made from weather-proof PVC, with durable tarpaulin lining. Spacious main compartment to store all of your travel essentials. Small interior mesh picket with a zipper closure your phone or wallet. Includes a removable, adjustable shoulder strap. Two fabric carry handles with a velcro closure. Two adjustable compression straps fasten with plastic buckles to keep your belongings safe inside. Unfolded Dimensions (approximately): 58cm (w) x 56cm (h) x 32cm (d). Folded Dimensions (approximately): 58cm (w) x 40cm (h) x 32cm (d).